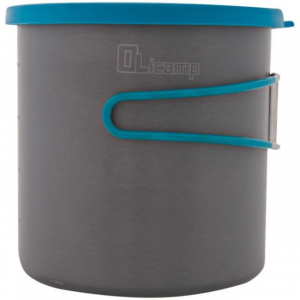 Olicamp Camp & Hike LT Lightweight Pot 329061. 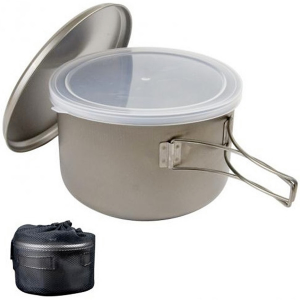 The perfect size for stacking and packing. 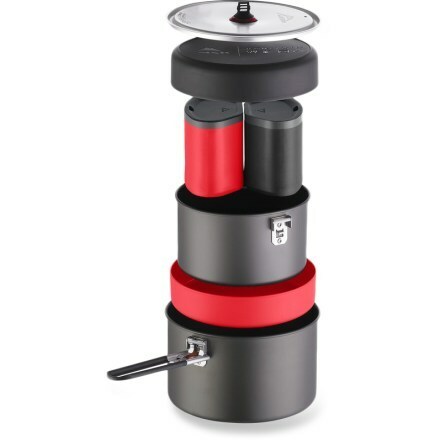 Fits butane fuel canisters inside. 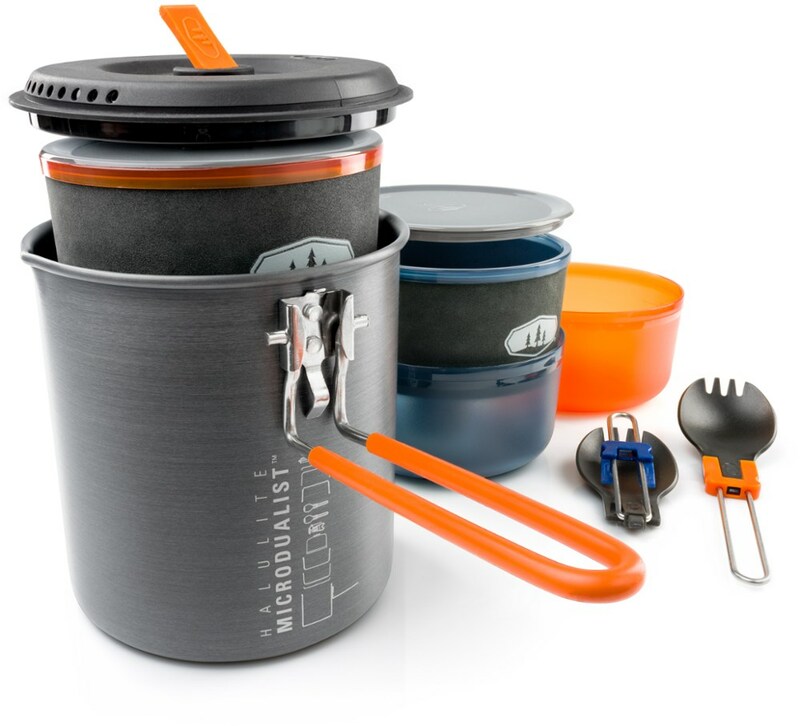 Multi-function silicone lid features an easy pour drain hole improves boil times and snaps on tight to keep your stove and fuel securely inside during transport. 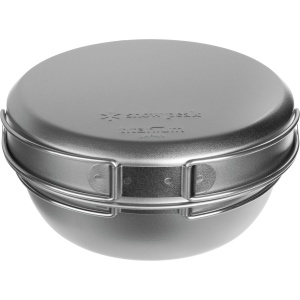 Silicone coated pot handles minimize heat transfer to your hands. 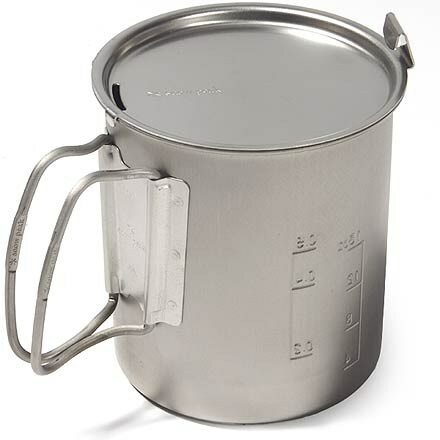 Ounce measurements stamped into the aluminum pot. 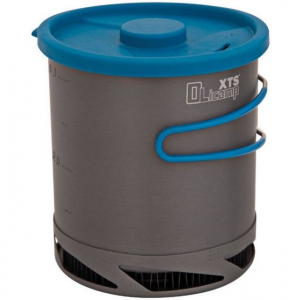 Lightweight mesh carry bag included.